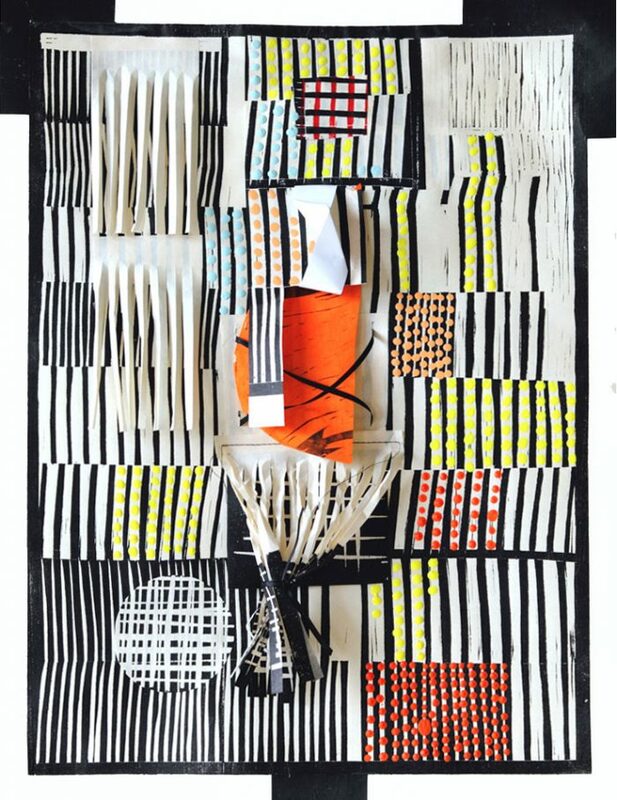 Libby Hague, Push: Pull…crisscross, 2012, woodcut with collage, acrylic, thread and ribbon on paper, 1/1. The intention with this exhibition is to highlight the achievements of women artists who create abstract art. Since the start of the feminist movement (late 1960s), times have changed making it possible for larger numbers of women to work professionally as artists. Historically their work was often dismissed in the male dominated art world, and this was especially true for female artists working in abstraction. Abstract art created by men dominated artistic practice in the second half of the 20th century even though women artists were an active part of this movement. Today, many women artists continue to explore abstraction as a form of communication. This exhibition highlights and celebrates one group of women artists who in the 21st century, have pursued interest in the field of abstraction and have a strong supporting network through Open Studio, Toronto. 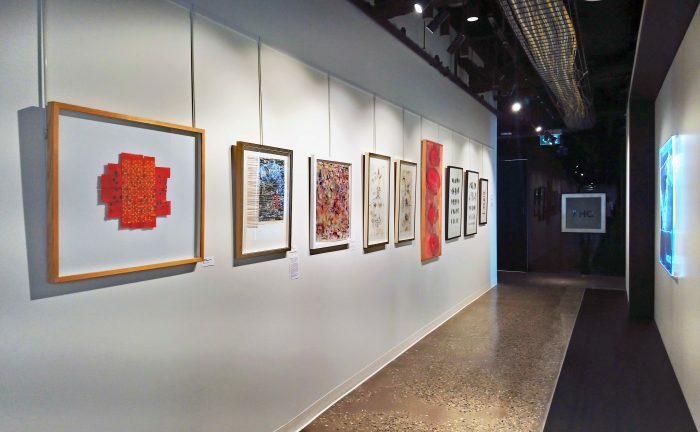 The reception for Abstract Women Artists from Open Studio will take place on September 18th from 3:00pm – 5:00pm and will be held on the 18th floor at 161 Bay Street in Toronto. Please RSVP by emailing ArtOne@capitalone.com. If you are not able to make it to the opening you can schedule You can also schedule a meeting to see the work by emailing ArtOne@capitalone.com. Selection of work on display.